Featuring a stand-up lapel and collar, these black tux wedding favor boxes are a great way to dress up your event. 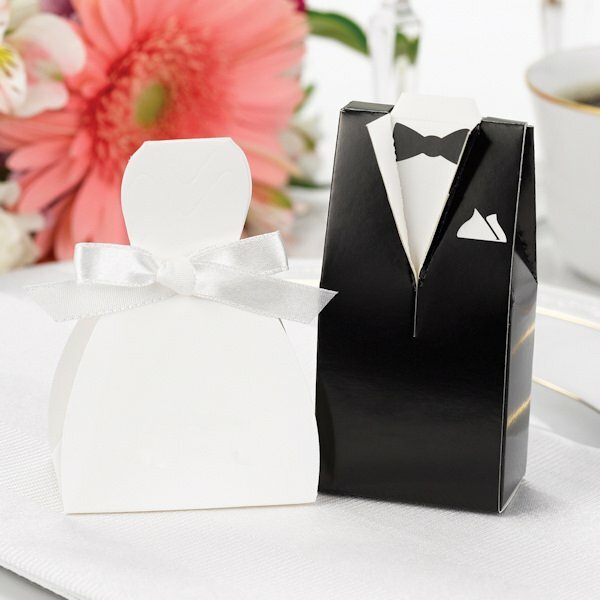 Pair them with our dress favor boxes for a stunning presentation on your event tables. 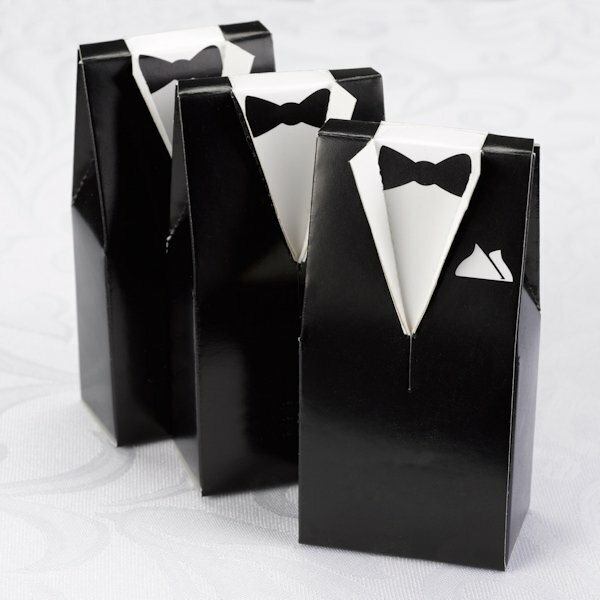 Great for any formal event including weddings, prom, and black tie events! Boxes are sold in sets of 25. They measure 2" x 1 1/8" x 4".